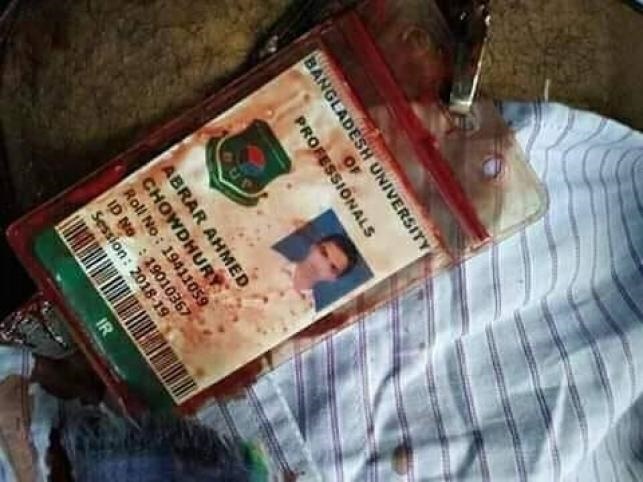 A case has been filed in connection with the death of Bangladesh University of Professionals (BUP) student Abrar Ahmed Chowdhury in a road accident at Pragati Sarani in the city. Brig Gen (retd) Arif Ahmed Chowdhury filed the case at Gulshan Police Station on Tuesday night, said Assistant Sub-Inspector Enamul Haque. Abrar died after being run over by a bus of ‘Suprovat Paribahan’ in front of the main gate of Bashundhara residential area around 7:15am on Tuesday. Protests triggered by his death continued for the second consecutive day on Wednesday.